The task of congregating raw data and compiling it to form a database is known as data entry. Though this back office process seems to be as simple as ABC but it is much more complicated than it seems to be. Data entry is an operation that requires dexterity and one cannot accomplish it if he isn't skilled enough to handle it. An incompetent individual will most probably end up creating an inutile database; this is the reason why businesses hire skilled professionals for tasks like data entry. However, hiring full-time employees for data entry is often not a great idea. Businesses today are looking forward towards downsizing to achieve maximum productivity even with a small workforce. In this case, opting for an in-house process for tasks like data entry is surely not advisable. To keep up with the business trends and to dedicate more time and resources to core processes, it is suggested to outsource data entry process. By availing outsourced data entry services, you can reap a multitude of benefits including cost cutting. 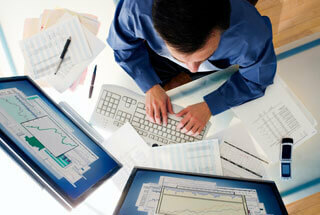 These services can help you attain productive database reports while avoiding any major glitch. The professionals who offer data entry outsourcing services are equipped to understand your requirements and deliver services accordingly.